Here’s a strange one. Gaming Intelligence broke the news this morning that Canada’s Amaya Gaming has hired on former Absolute Poker / UltimateBet / Cereus / Tokwiro Enterprises head Paul Leggett as its new head of online gaming. Leggett, for our readers who relatively new to online poker, was one of the primary executives at Absolute Poker and several companies associated it with from about 2007 onward. He wasn’t a part of the actual cheating at AP and UB, but he took a very active role not only in covering up certain elements of that scandal, but also as serving as a frontman to help disguise the real nature of Absolute Poker’s true ownership. That ownership was always — from Day 1 until the company’s 2011 Black Friday-induced collapse — the University of Montana SAE fraternity boys and family and friends, led by Scott Tom. If you think that Leggett was just a pawn in all of the troubles at AP and UB, think again. He was promoted from a modest marketing role at AP by Scott Tom and Hilt Tatum III to head one of the top spots at AP, and I actually have Tatum himself on an audio recording talking about how he had hired Leggett. Leggett was one of Tom’s and Tatum’s party-hardy buddies on the Montreal scene, which is part of how he got into the company’s inner circle. 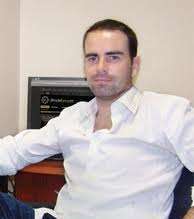 Leggett was intimately involved with one of the largest US-facing online poker operations of the post-UIGEA era. And that’s where we turn to today’s news, which has Amaya hiring Leggett to head up their online division. Not only has Amaya acquired the Ongame and Cryptologic networks, it’s signed a partnership with Bally Technologies and has already been approved as a service provider by the Nevada Gaming Commission for that state’s upcoming rollout of real-money online poker. Here’s the proverbial fly in the ointment: Nevada has some notable bad-actor clauses built into its online poker regulations, which were instituted at the behest of the state’s land-based casino giants to keep firms such as PokerStars from ever even thinking about getting a license there. Some of those bad-actor regulations apply to individuals as well. Which brings up this question: Will Paul Leggett be viewed as eligible to perform his new Amaya duties as they pertain to the company’s business in the state of Nevada? (2) Any covered assets, in whole or in part, of such person. (a) “Interactive gaming service provider” has the meaning ascribed to it in NRS 463.677…. (6) Provides products, services, information or assets to an establishment licensed to operate interactive gaming and receives therefor a percentage of gaming revenue from the establishment’s interactive gaming system. “Means a person” means just that: a person. The definition of “interactive gaming service provider” found in Nevada’s new Regulation 5A, “Operation of Interactive Gaming,” carries the exact same wording. Therefore, Leggett’s executive role with several post-UIGEA, US-facing online poker sites puts him directly in the crosshairs of the five-year “bad actor” lockout that was implemented when Nevada approved changes to allow the negotiating of interstate compacts. Will Nevada enforce its own regulations? That remains to be seen. By any independent reading of the rules, however, Paul Leggett is not eligible to serve with any company licensed in connection with Nevada online poker.